You'll be £28.00 closer to your next £10.00 credit when you purchase The Wargaming Compendium. What's this? Wargaming is a fascinating, engrossing and exciting pastime that encompasses a wide range of different talents. In the course of pursuing his hobby, the average wargamer uses the skills of artist, designer, sculptor, illustrator, historian, librarian, researcher, mathematician and creative writer, as well as the more obvious ones of general, admiral or air marshal for large games, or perhaps lieutenant, commodore or squadron leader for skirmishes. Not only is wargaming a pursuit which calls upon many skills, but it also covers many aspects of combat, spanning the history of our planet. With science fiction gaming, we plunge into imagined worlds many thousands of years into the future and a fantasy gamer, of course, deals with eons of imagined history, as anyone who has read The Lord of the Rings will know. A wargamer may find himself recreating an encounter between a handful of adversaries one day, or a massed battle involving perhaps hundreds of miniature troops the next. Moreover, it is possible to play wargames that recreate warfare on land, on sea, in the air or, in the case of science fiction, even in outer space. This book aims to demonstrate the wonderfully varied hobby of wargaming with miniatures, looking at the broad scope of what it has to offer as well as detailed explanations of how to get involved, including comprehensive rules for gladiator combat, Wild West skirmishes and the horse and musket era, as well as lots of advice for anyone new to wargaming. Whether you're a complete newcomer to the hobby, or a veteran of many years, you'll find plenty in The Wargaming Compendium to entertain and inspire you. – Duels, skirmishes, large battles and campaigns – with rules! As featured in the Worthing Herald. I highly recommend this 519-page book to ANYONE interested in miniature wargaming. 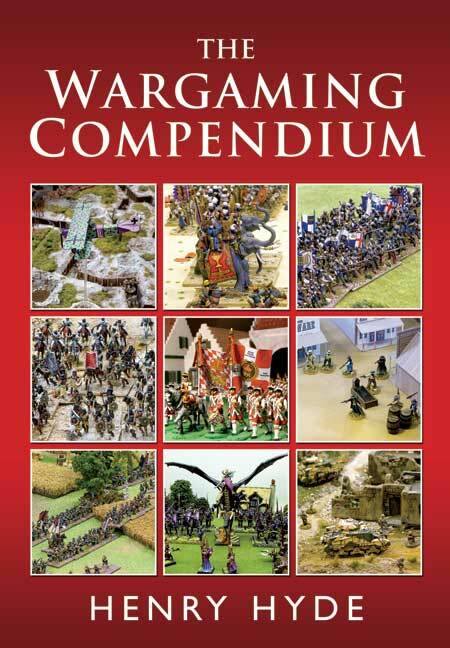 The title of The Wargaming Compendium is at least an understatement as this one volume gives the prospective gamer an insight to the beginning of this hobby that will only grow stronger with time. Also, grab this fascinating book while you can, as Wargaming Books, such as this, will sell out quickly and become a collectors editions before you know it. Get it while its HOT. This is a work which has room for a varied cast of readers. From the beginners to the most experienced player. A key work to understand the wonderful world of wargaming. A book with a clear vocation to be a powerful support base for the novice amateur and which the experienced amateur can use to continue to grow. This entertaining and comprehensive book is highly recommended to everyone from beginners to veteran tabletop generals. There is material in here that will interest the experienced wargamer as well as the beginner. Throughout the whole book there are numerous data tables, scenario maps and a host of excellent photos of beautifully painted miniatures and scenery. There are many great things about The Wargaming Compendium that make it an essential purchase, but one of the things to strike me upon reading it cover to cover for the first time is how useful it is no matter if this is the first thing you’ve ever read on wargaming, or if you’re an old hand who’s devoted his spare bedroom over to a 32mm recreation of The Battle of Stamford Bridge. The layout and general feel of the book is good, easy to follow and replete with high quality photographs. If you can't afford one straight away, start dropping hints to whomever loves you that this would make a great birthday or Xmas present! Hyde's comprehensive and entertaining book is highly recommended to both more experienced tabletop generals and beginners. The latter will feel like a personable and seasoned wargamer is looking over their shoulder expertly guiding them to victory every step of the way. An instant classic. When a book has the word 'compendium' in its title, you expect it to include (almost) everything there is to know about a certain topic. And Henry Hyde's The Wargaming Compendium most certainly does that. A book such as this is a real treasure trove for the beginner. The book's tone is one of motivating enthusiasm, truly wanting the reader to join in and facilitating the basics. The beautiful photographs complement the text very well, showing the reader the artistic side of the hobby. I really enjoyed it. Not only did it teach me about the history of wargaming, but it also gave me a handy reference book that motivated me to pick up my brush, finish my Viking army, and pick some fights. “This book is surely a 'must' for newcomers to the hobby and experienced wargamers alike and one that will be 'dipped in to' time and time again for reference and inspiration. It is as complete a guide to the hobby of wargaming as you can currently get. Provides some excellent clarity for the newbie. Beautifully illustrated with 26 illustrations by Bob Marrion of troops of the period. Layout and production values of the book are quite superb. Lavishly illustrated with colour photographs which cover every detail discussed by the author. The rules have lots of diagrams and counters as required and there are a number of maps from the author's campaigns. It all adds up to a great package. When you are given a weighty tome such as this to review, it is often hard to fit in a 'proper' read and you are forced to skim through the pages to get a flavour....Yet on this occasion as I tried to assimilate the 'Diet Coke' version of this book, i found myself succumbing to the desire to read more and more and, before i knew it, I was hooked. And that is the great thing about Mr. Hyde's writing style - it is easy to read, interesting and varied with just the right amount of anecdote, information and humour to really capture the reader. You can reminisce in the section on the history of wargaming, be enlightened by the section on military history, enjoy and learn in the sections on the digital age and then look at the rules included in the book. A guide to what is possible, acceptable and required to fully enjoy what is a relatively obscure hobby for gentlemen of a certain age but is one that has a range of possibilities and 'hooks' for the next generation of gamers, the ones we need to encourage in order to keep our hobby vibrant and alive. The fact that the standard of photography in the publication is so high does nothing more than showcase that hobby at its best. An absolute must for a more visual age, it is refreshing to see this modern magazine / rulebook 'style' used to such good effect in what could have been a very dull treatise. The fact that Mr. Hyde is anything BUT dull makes the whole thing even more attractive. I think this book is an excellent example to those wishing to appeal to appeal to a wide range of ages, using aspects of layout, style and approach that many writers of textbooks could learn a great deal from! I have tried for quite a while to 'prove' that my historical games are just the same as the ones they enjoy at a local hobby store...I don't need to try as hard anymore. Mr. Hyde has done the main part of the job fore me in a rather splendid fashion, producing in words and pictures what I have been trying to convey for so long. I urge you ti buy this book for the veteran and novice alike, give it to your young nephew or niece for birthdays or Christmas and join with Mr. Hyde in helping to keep the hobby fresh. The great thing about Mr. Hyde's writing style - it is easy to read, interesting and varied with just the right amount of anecdote, information and humour to really capture the reader. I urge you to buy this book for any veteran and novice alike. 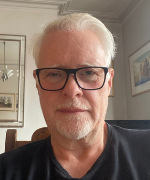 Henry Hyde's labour of love fills a gap in the literature - returning to the books of the 1970s and 1980s which attempted a comprehensive introduction to the hobby of tabletop miniatures wargaming. This is a beautifully crafted effort to describe the current gaming scene and one which has paid off handsomely, well laid out and covering almost everything you could think of that the beginner would need to know (as well as some stuff which I didn't know, even as an old hand). With an admitted UK focus it covers gaming in the digital age and includes some excellent photos, as well as a brand new horse and musket rule set. Every gamer should put this on their wish list, and if you have even a passing interest in gaming with miniatures this would be the perfect introduction to the hobby. This book was eagerly anticipated but the product more than lived up to my expectations. It is a quality product, in both look and feel, and a must have for wargamers of every age, experience and ability. It will be viewed as a wargaming classic with the likes of Featherstone and long after Mr Hyde has shed his mortal coil. Definitely, undeniably, it would be more useful to beginners but its actually nice to have everything in one book for us veterans and there is stuff in there about painting figures, making terrain and scenery and even some rules plus lots of other gems. It is a veritable fountain of knowledge. I rationalised it as I spend up to £20 on rules that I might or might not play, here is a useful book which I will dip into for years to come. A no brainer really for me. I've read the book cover to cover and it now sits by my bedside to be dipped into when my wargaming enthusiasm might wane. Inspirational, at times witty, but essential.